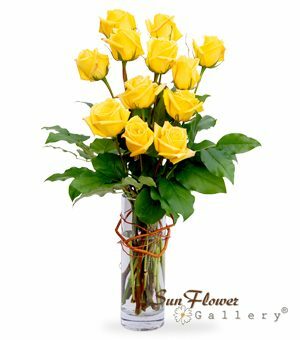 My Sweet Heart​ is a fresh flower arrangement in a 6″ clear glass round bouble vase. 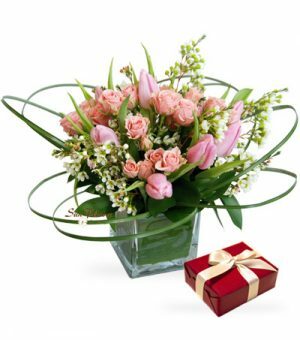 It consists of lime green hydrangea, stargazer lily, peach color roses, tulips, pink wax flower, lavender statice and white hypericum. 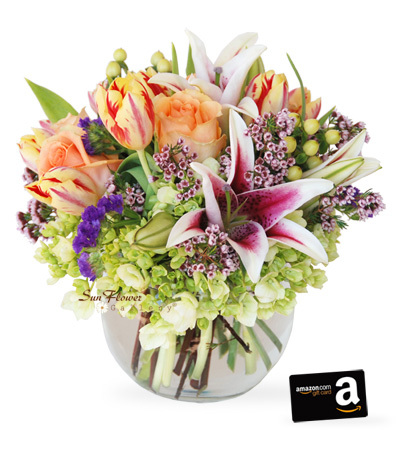 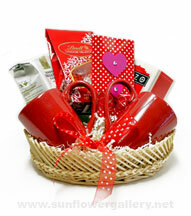 This arrangement comes with Free $10 Amazon Gift Card, it’s a wonderful gift to a loved one on Valentine’s Day or other special occasion.